Mediterannean flavors, Middle Eastern Spices, and a modern American style. TRY SPIN SAUCE ON ALL YOUR FAVORITE FOODS! 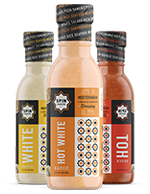 Spin Sauce Assortment includes each of the delicious Spin Sauce flavors which come include White Sauce, hot White Sauce and Hot Sauce. The perfect blend of condiments to add a Spin to any meal! Our Hot Sauce brings a punch of heat to any dish. This cayenne-based, perfectly spiced hot sauce can be used to spice up any dish. Drizzle it on tacos or spice up a soup for a bold flavorful heat! 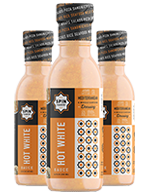 Just like the classic White Sauce, the Hot White Sauce delivers all the flavors you know and love with a hot, zesty spin. 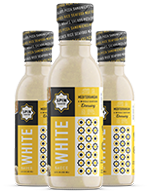 Put a spin of Hot White Sauce on your favorite dish from wings, pizza, sliders and salads!  Inspired by NYC street food and cultivated through authentic Afghan roots, Spin Sauce combines Mediterranean flavors, savory Middle Eastern spices, and modern American style to add a zesty spin to your favorite dishes. So go ahead. Give it a spin. A unique flavor experience awaits your next meal.